Celebrate with local sparkling wine. Photo by Fran Collin. Pat yourself on the back and celebrate your progress—you’re doing great. Congratulations, you have completed the first half of your Eat Local Challenge! What better way to celebrate than to enjoy locally-made bubbles, beer, wine or juice? There are many ways to celebrate by drinking local. You can make your own cocktail, soda, kefir or kombucha. You can even go as far as making your own juice from local fruits and veggies. The drink possibilities are endless! Continue reading for recommendations and special recipes. Whether this Challenge has been a piece of cake so far or you’re finding it a bit more challenging than expected, pat yourself on the back for making it this far. While you’re at it, sip on a local drink to celebrate. A local sparkling wine is always a celebratory drink. Another option is a cocktail. One of our favorites to sip on is the refreshing “The Montecito Mule.” Although some of these ingredients might not be local, the founders of the Moscow Copper mugs happen to reside in Santa Barbara, so you’re connecting with some local history while you drink. When savoring this celebration treat, “be prepared for a berry blast one taste, a zip of more ginger the next, some soothing sage a third. That’s half the fun” – George Yatchisin, creator of The Montecito Mule. You might also try George Yatchisin’s Wolf Peach cocktail. Another option that’s as easy as opening a bottle—enjoy a local wine from one of the many wineries around us or a local brew. Feeling adventurous? Forage for your own cactus prickly pear fruit and whip up this easy Prickly Pear Syrup recipe to mix with soda water, sparkling wine, or a local spirit. If you’d like to continue foraging for your cocktails, take a look at The New Wildcrafted Cuisine for inspiration. 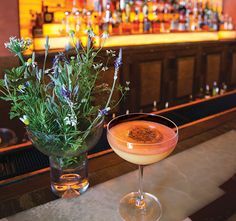 For local Santa Barbara County spirits, try Cutler’s Artisan Spirits or Ascendant Spirits to mix into your own cocktail. Share your recipes and creations with #EatLocalChallenge2017 or post in the comments below!